Ever since I was a kid I have had a love-hate relationship with my hair. I have dry,frizzy and extremely thick hair which looks terrible in its natural state but with heat and styling I absolutely love how beautiful my hair looks. However, using straightening rods in day to day life is just impossible and can be disastrous for the hair. Hence, last year I decided to change my whole hair care routine and invest in professional products to tame my tresses. I went ahead and bought the Schwarzkopf Smooth & Shine Range(more on that later) but around the same time Kama Ayurveda also sent me across their popular Lavender Patchouli Cleanser & Conditioner for me to try out and I must say I was a bit disappointed having read very mediocre reviews on it. Plus, I have this thing in my mind that my dry hair needs chemicals to become manageable but boy was I sooooo wrong! 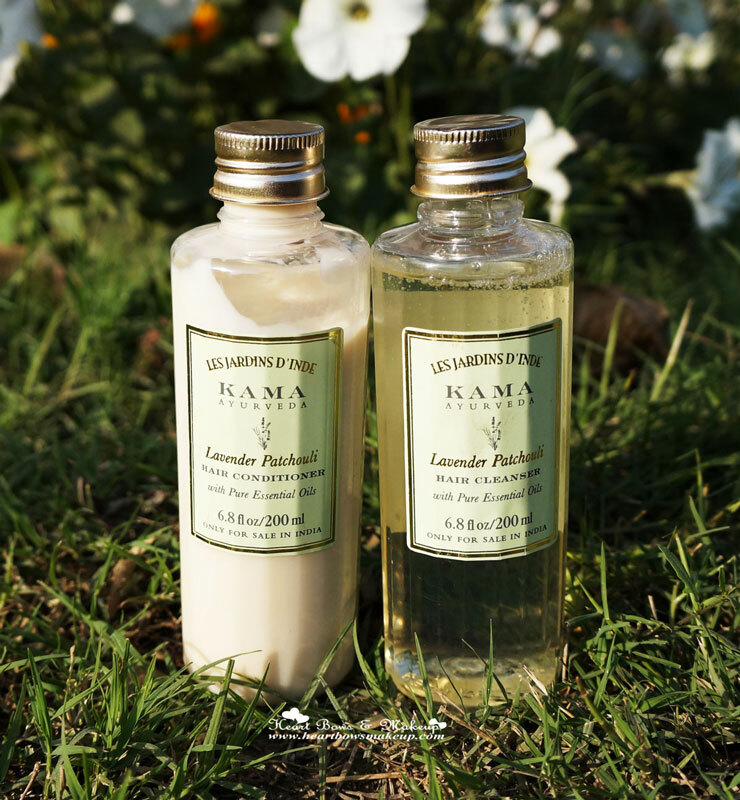 A mild hair cleanser with Hibiscus extracts and Pure Essential Oils of Lavender and Patchouli. 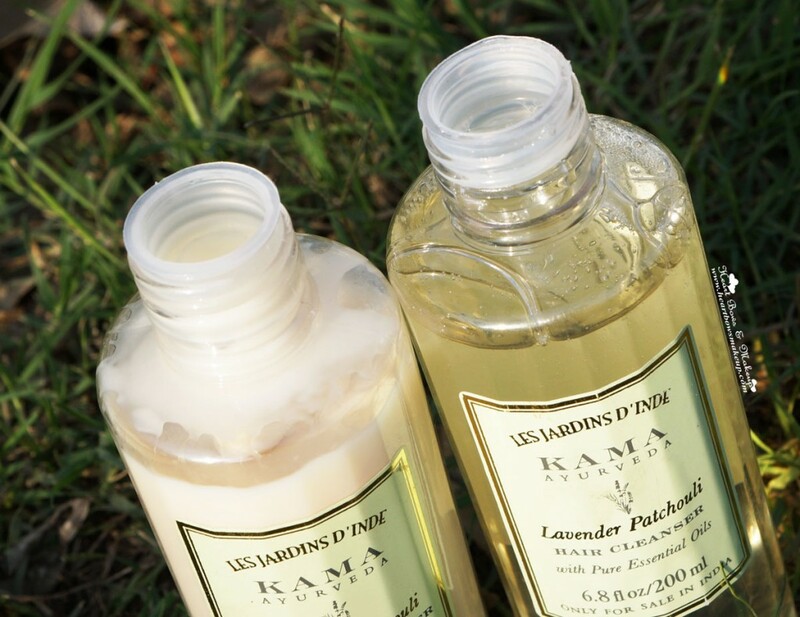 Lavender soothes and calms the scalp and Patchouli has antibacterial properties. 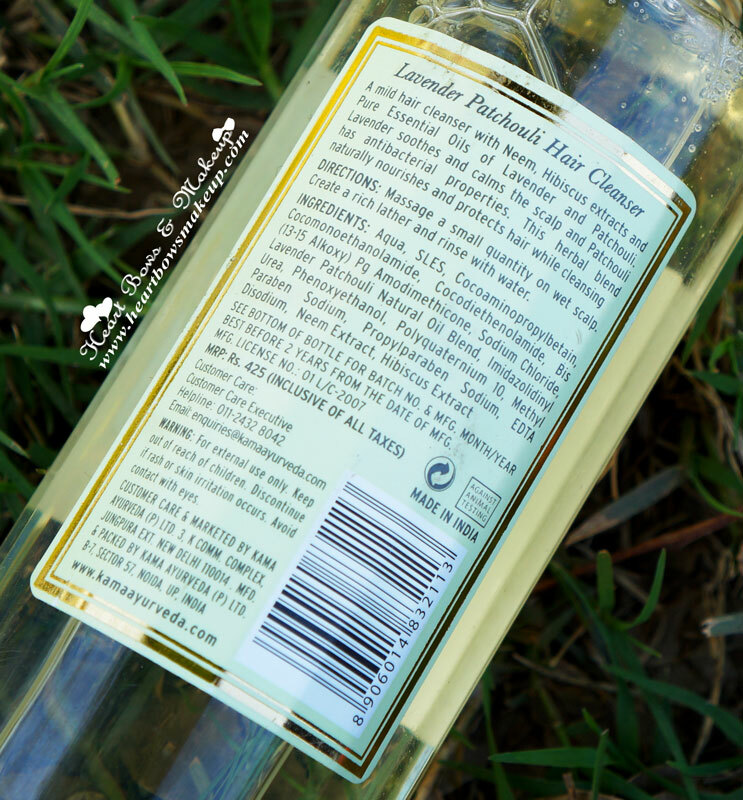 This herbal blend naturally nourishes and protects hair while cleansing. 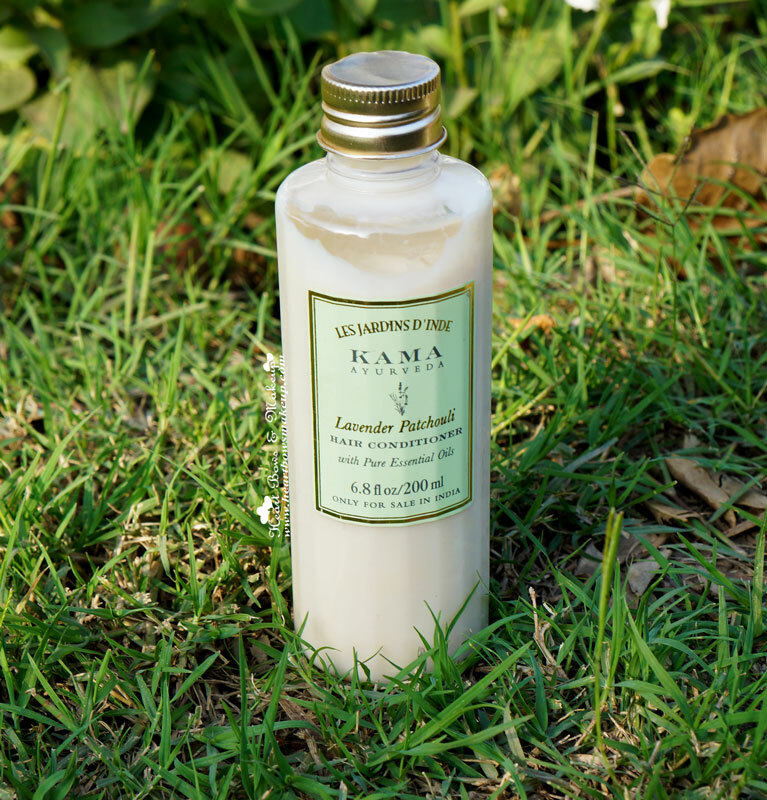 The Kama Ayurveda Lavender Patchouli Cleanser comes in a tall plastic bottle with a screw on cap. The bottle has a wide opening with a plastic stopper lid. It has the list of ingredients and other necessary details mentioned on it. 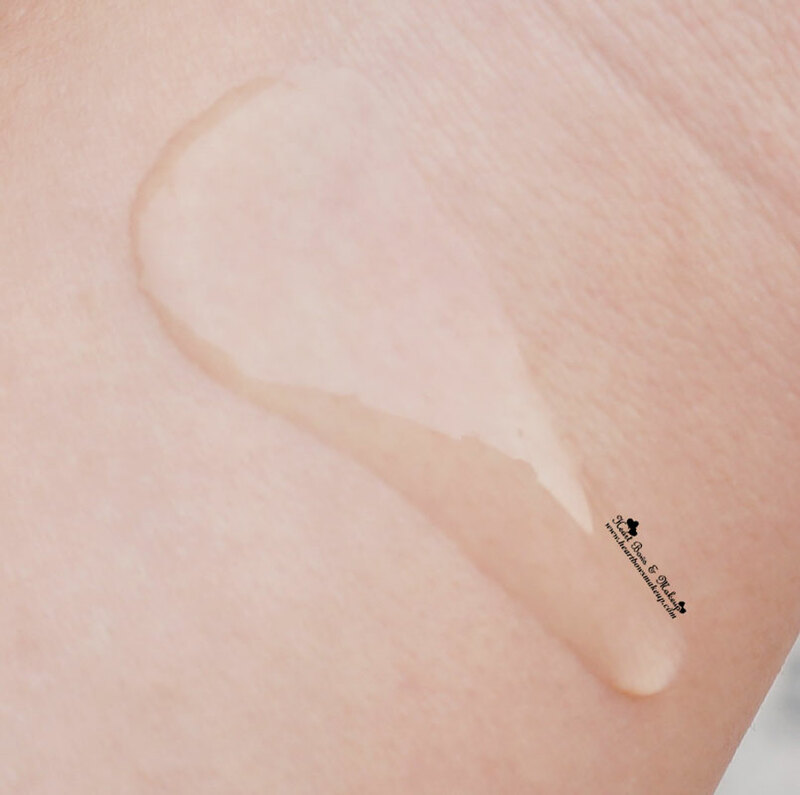 Talking about ingredients, I noticed that it contains SLS & Parabens! I didn’t expect it from a Kama Ayurveda product as I thought it’d be 100% natural. However, the shampoo is sulphate and silicone free. The shampoo is light yellow in color and has a runny texture. It has a strong lavender scent which smells quite herbal-y to me :p I’m not fond of it but neither does it bother me. Since I have hair upto my mid back and due to the dry texture I only wash it weekly hence, I like my shampoos to lather well so that they can adequately remove the dirt and grime. The shampoo definitely scores well in this aspect and cleanses my hair easily. This might be a con for girls with extremely dry hair that wash their hair more often as it might end up drying out their hair. Almond, Indian Gooseberry and Soya bean extracts blended with Pure Essential Oils of Lavender and Patchouli to create a luxurious conditioner that revitalizes and retextures damaged hair. 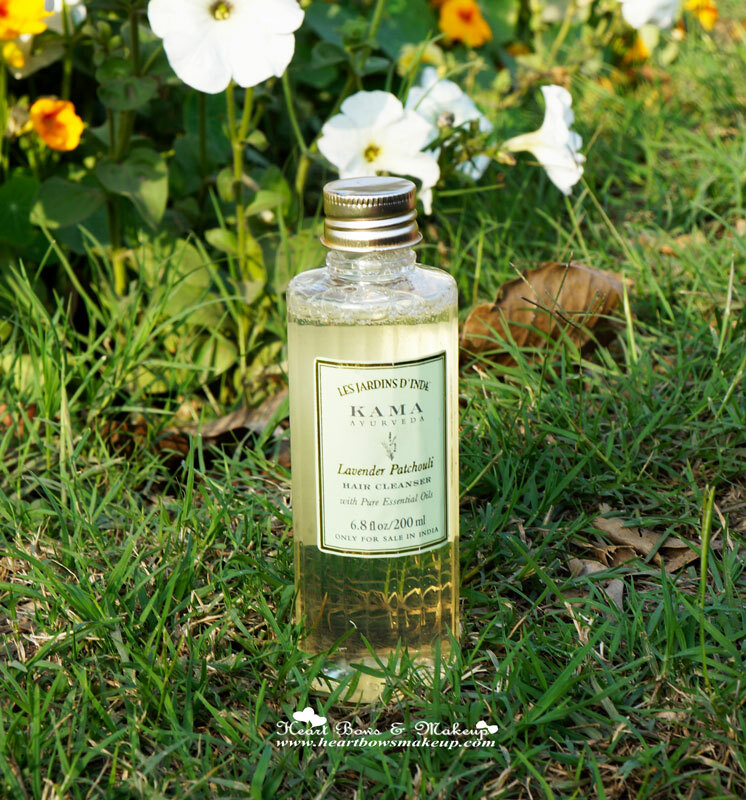 Like the shampoo, the Kama Ayurveda Conditioner comes in a tall and transparent plastic bottle with a screw on cap. 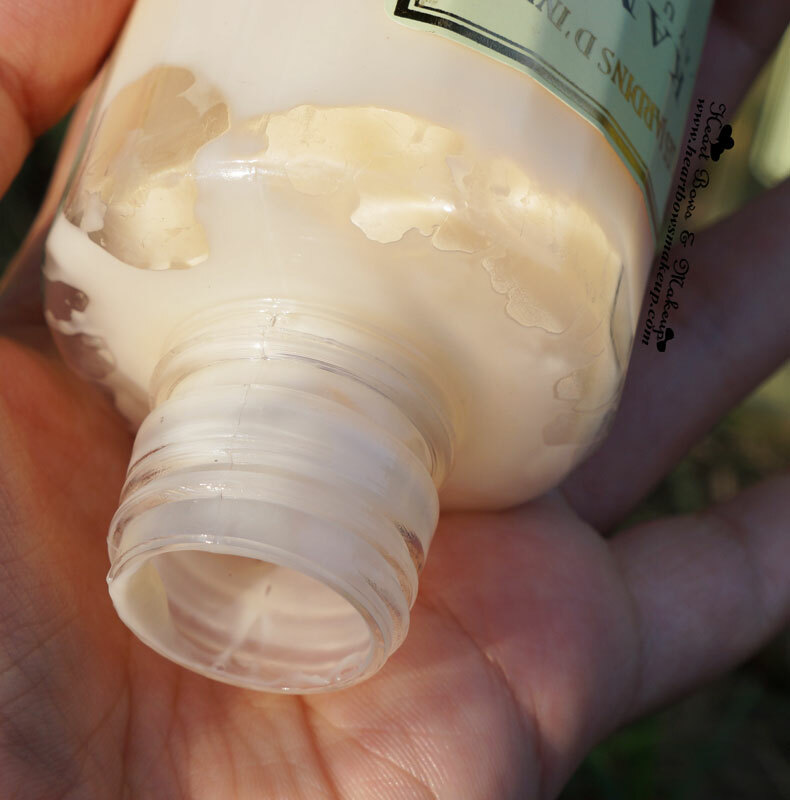 Despite the wide opening of the bottle I find it a bit hard to take out the product due to its thick texture. I wish it came in a squeezy tube of something! 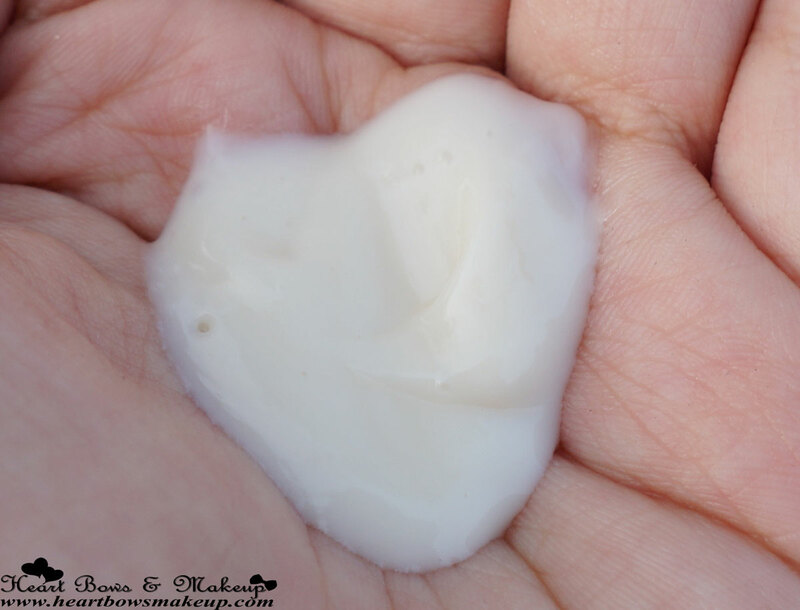 The conditioner is cream white in color and has a thick consistency. I absolutely love the conditioner since it works wonders for my hair! I use a good amount for my hair say 2 dollops and keep it on for about 3-4 minutes. 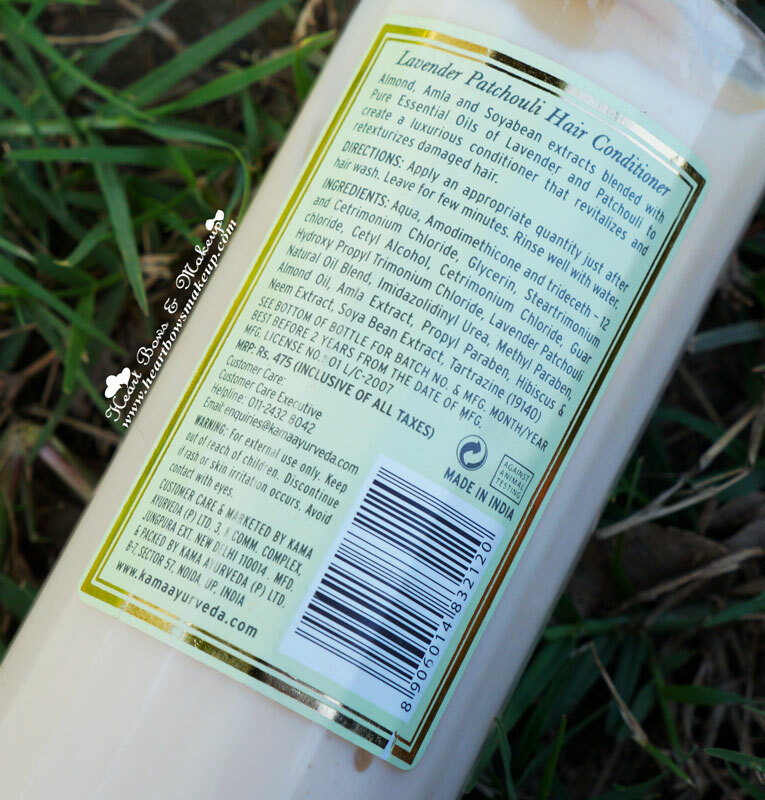 The Lavender & Patchouli conditioner works much better compared to the Schwarzkopf conditioner that I used previously which BTW is loaded with chemicals whilst this primarily has natural ingredients! It leaves my hair extremely soft, shiny and much more manageable. I just wished it worked well on the frizz too as I certainly need a bit more moisture despite conditioning my hair 🙁 But overall, I’m extremely impressed with it. 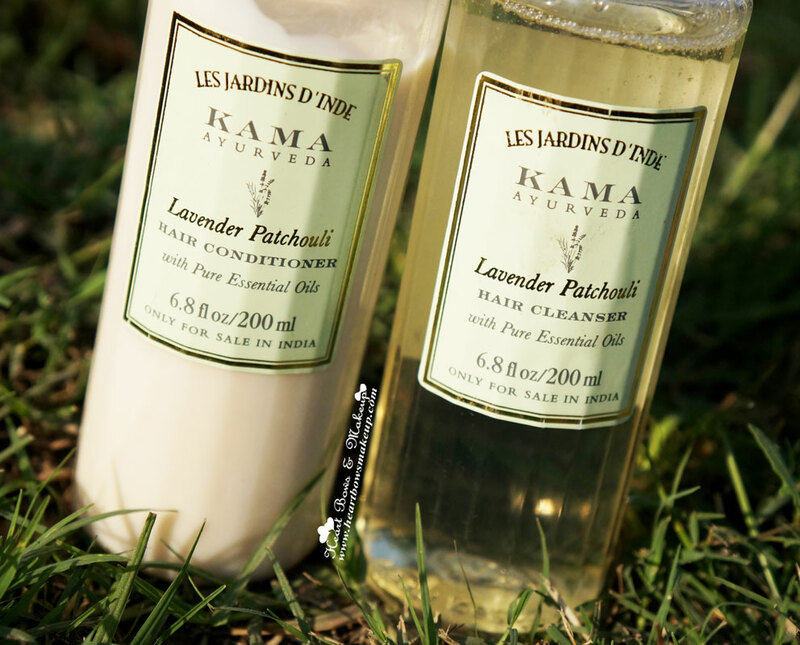 HBM Recommendation: Kama Ayurveda Lavender Patchouli Cleanser & Conditioner are sulphate and silicone free yet add bounce & shine to the hair. The conditioner made my hair really soft and shiny but did not do much for the frizz. Its a great option for those that want to switch from chemical based haircare to something more natural! *PR Sample. However, my review is honest and unbiased!